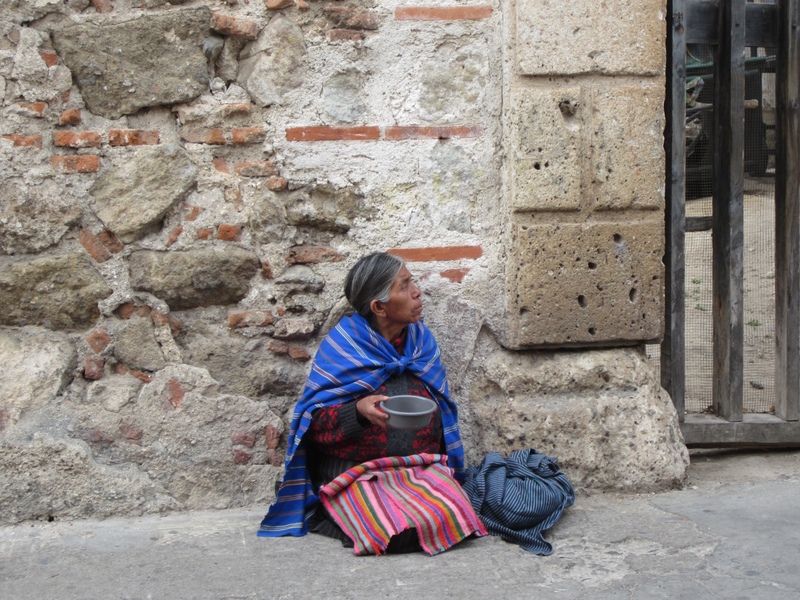 Photo taken outside one of the many spectacular churches in Antigua, Guatemala. To me, there is something so ironic about this picture. A woman begging for survival right outside a church. This is taken in Guatemala but the same photo could be taken anywhere in the world, even in my hometown. It is hard not to have pity on someone who has come to such destitute measures for survival.